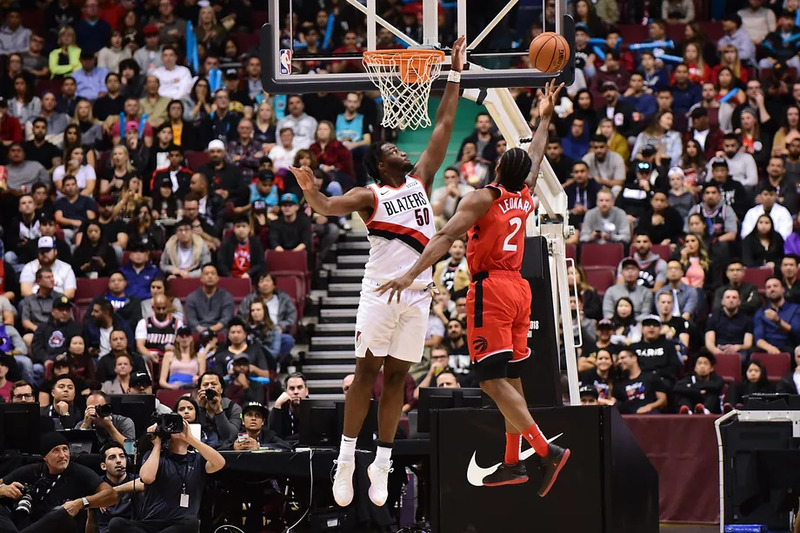 The Toronto Raptors defeated the Portland Trail Blazers on Saturday night in Vancouver. Both Kawhi Leonard and Danny Green started their first game for their new team as new Head Coach Nick Nurse took charge of the team for the first time. Leonard looked good considering the last the he played a game of basketball was earlier this year. He played 19 minutes on the night, scoring 12 points and providing three assists. Danny Green took on a new role as a veteran on this Raptors team, but still showing his speed and three-point shooting. Kyle Lowry looked his same old self, ending with 15 points. Jonas Valanciunas scored a team-high 17 points and grabbing seven boards, as he demonstrated that he can still get it done on both ends of the floor. Arguably the highlight of the night came from Valanciunas, stealing the ball from a Portland player, turned on the jets and laid it up and in. Minutes were spread out across most Raptors players, including Greg Monroe who made his debut and scored eight points in 12 minutes. Toronto defeated Portland by a score of 122-104. The team flew out to Utah earlier today, and face the Jazz on Tuesday night. Featured image from USA Today.